I (Clare) read this post by Larry Cuban. I have long been a fan of his work because he is so “sensible” and really seems to understand education. No surprise that a catch-phrase like “personalized learning,” using technology to upend traditional whole group lessons, has birthed a gaggle of different meanings. Is it updated “competency-based learning?” Or “differentiated learning” in new clothes or “individualized learning” redecorated? (see here, here and here). Such proliferation of school reforms into slogans is as familiar as photos of sunsets. “Blended learning,” “project-based teaching,” and “21st Century skills” are a few recent bumper stickers–how about “flipped classrooms?”– that have generated many meanings as they get converted by policymakers, marketeers, researchers, wannabe reformers, and, yes, teachers into daily lessons. The current educational environment has left teachers trapped between the accountability mandates of high stakes testing and the desire to provide an authentic, skills-based curriculum that is rich in critical thinking activities. As the Every Student Succeeds Act (ESSA) is implemented nationwide, teachers and districts should seize the opportunity to develop alternative assessment tools that incorporate more authentic measurement of students’ critical thinking skills. The tension between high-stakes testing accountability and an authentic, skills-based learning environment infused with critical thinking has made the assessment of student learning a challenge for even the most experienced education professionals. Classroom teachers need to be both public servants responsible for aggregate student growth, and inspirational role models tasked with shaping future minds. The recently sunsetted No Child Left Behind (NCLB, 2002; U.S. DOE, 2002) narrowed the definition of learning to concepts found on multiple choice examinations that require mass data collection, equated student growth to test score improvement, and instigated punitive measures when schools do not meet national proficiency standards. In theory, the numerical data generated from the annual standardized assessment has held teachers accountable, but this has come at the cost of adequate curriculum depth, appropriate real-world skills, and deep critical thinking skills which are less easily measurable but arguably more important to foster. Tension remains between generating trackable measures of growth and providing learning filled with critical thinking activities. This tension may soon lessen given that measuring student growth and providing authentic skills-based learning are not mutually exclusive anymore; both can be accomplished simultaneously by working within the new assessment guidelines of ESSA. The Every Student Succeeds Act (ESSA, 2015) has the potential to diffuse the tension between high-stakes annual testing and authentic skills-based learning. ESSA calls for the systematic collection of data of a different nature than that aggregated by traditional standardized testing. According to the federal ESSA website, “Assessments must involve multiple measures of student achievement, including measures that assess higher-order thinking skills and understanding, which may include measures of student growth partially delivered in the form of portfolios, projects, or extended performance tasks” (NCLS, 2015). ESSA will be fully implemented across the United States by the end of 2017 and public school teachers will have the opportunity to develop high-quality assessments involving critical thinking that mirror an authentic, skills-based classroom with a curriculum rich in performance tasks measuring higher-order thinking. While the job of developing authentic assessments for measuring skills-based learning and critical thinking is daunting, the educational community is already fertile ground for the ESAA’s requirements. Due to the fact that ESSA allows teachers to report data from interim assessments based on higher-order thinking skills, each localized educational community has the opportunity to establish the relevant criteria on teacher-designed rubrics and create skills-based performance tasks as long as the result is high-quality measurable data. After watching my students critically discuss complex themes like the American Dream and income inequality during Socratic-styled seminars, I became convinced that understanding and critical thinking are most evident when assessments incorporate real-world problems and performance tasks. Evaluating classroom discussion is challenging but worth the effort because of its curriculum relevance, authenticity, and rigor. Stanford Professor Sam Wineburg calls for students to think like a historian by “understanding that each of us is more than a handful of labels ascribed to us at birth” (Wineburg, 2001, p. 7). In order to reach this deeper understanding, students need to develop critical thinking skills, defined by the American Philosophical Association (APA) as “purposeful, self-regulatory judgment which results in interpretation, analysis, evaluation, and inference, as well as explanation of the evidential, conceptual, methodological, criteriological, or contextual considerations upon which that judgment is based” (Facione, 1990). Traditional social studies assessments that measure names, dates, and events have their place in education but cannot measure “higher-order thinking skills and understandings” as required by ESSA. A curriculum that includes skills-based activities have the potential to also measure critical thinking. Instead of testing students on factual recall, Wineburg required high school students, college students, and professors to read documents out loud, pause to interject their thoughts, and analyze the material they just assimilated (Wineberg, 2001, p. 7). Wineburg measured the interview transcripts for the presence of critical thinking using established criterion and then norm referenced the interviews to determine the depth of critical thought to assess the performance activity (2001). Peter Boghossian, an educator in the correctional system, also created measurable data derived from performance activities. In order to promote the merits of Socratic seminars to colleagues, Boghossian analyzed transcriptions of his discussions about morality using a rubric designed from the APA’s definition of critical thinking. His students demonstrated their ability to think critically by evaluating, interpreting, inferring, and analyzing by engaging in these types of activities (Boghossian, 2006). By crafting a numerical rubric around skills-based performance tasks, teams of teachers can collect data on student critical thinking ability. Wineburg and Boghossian used two completely different alternative assessments designed to measure critical thinking and both performance tasks yielded helpful data regarding student abilities. Stanford’s History Education Group develops free content through their project called Beyond the Bubble which is aptly named for its goal to move assessments away from multiple-choice examinations (Wineburg, Smith, & Breakstone, 2016). 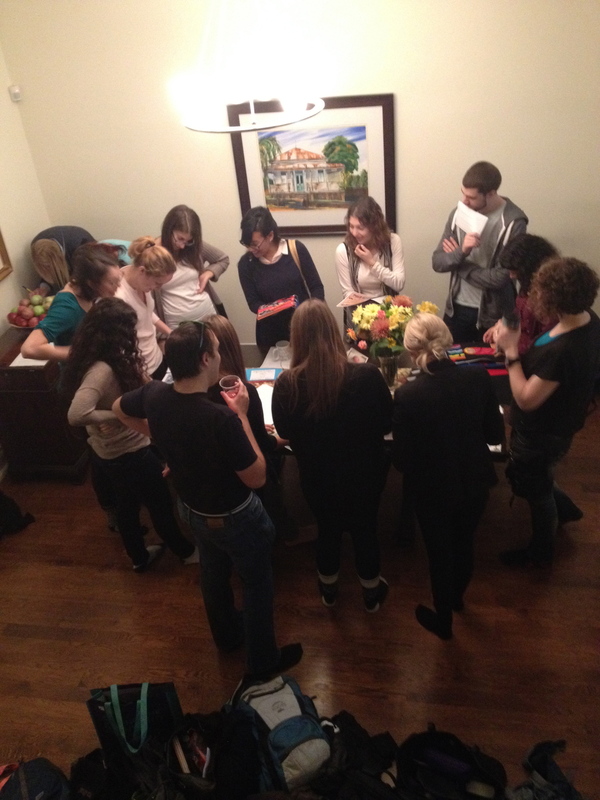 The organization, led by Sam Wineburg, provides critical thinking assessments utilizing primary sources with numerical proficiency rubrics and scored example assessments (Wineburg et al., 2016). With localized numerical data generated from rubrics, teachers can collaborate and strategize pedagogical shifts to promote student growth and then report the relevant and longitudinal information to the state under ESSA, instead of the state collecting a single high-stakes examination and subsequently passing the data to teachers. By creating rubrics for critical thinking performance activities, teachers can collaborate to generate meaningful data that can be reported to the state for accountability purposes. This means that nurturing a skills-based classroom rich in critical thinking and reporting achievement goals can happen simultaneously, which is an exciting prospect for both teachers and local communities. However, for change to take place in the classroom, departments and districts need to design rubrics based on higher-order thinking skills using performance assessments. As states implement ESSA in the next couple of years, teachers and districts should seize the opportunity to develop alternative sources of data that incorporate authentic assessments of critical thinking skills. Boghossian, P. (2006). Socratic pedagogy, critical thinking, and inmate education. Journal of Correctional Education, 57(1), 42–63. Every Student Succeeds Act, Pub. L. No. 114-95 (2015). Facione, P. A. (1990). Research Findings and Recommendations. Newark, DE: American Philosophical Association. No Child Left Behind Act of 2001, Pub. L. No. 107-110, • 115, Stat. 1425 (2002). Wineburg, S. S. (2001). Historical thinking and other unnatural acts: Charting the future of teaching the past. Philadelphia, PA: Temple University Press. Is School Making Our Children Ill? In the New York Times on January 3, I (Clive) came across a fascinating column by Vicki Abeles (Sunday Review section) about the negative impact current school “reforms” are having on children. According to her, they are undermining the health of students, both rich and poor and from kindergarten to high school. Abeles has written a book (which I plan to get asap) aptly titled “Beyond Measure: Rescuing an Overscheduled, Overtested, Underestimated Generation,” and has produced documentaries “Race to Nowhere” (as distinct from Race to the Top) and “Beyond Measure.” But in the column her focus is on research conducted by Stuart Slavin at Irvington High School in Fremont, California, “a once-working-class city that is increasingly in Silicon Valley’s orbit.” In cooperation with the school, he anonymously surveyed two-thirds of Irvington’s 2,100 students and found that “54 percent of students showed moderate to severe symptoms of depression [and] 80 percent suffered moderate to severe symptoms of anxiety.” The school is trying to address the problem, for example by re-examining homework demands and counseling students on achieving a manageable course load. In my (Clare) course on Current Issues in Teacher Education one of the students, Kara Dymond, did her final project on autism. She is a member of the Autism Team Program to Assist Social Thinking in the Toronto Catholic District School Board. I learned so much about autism in particular how to help children that I asked Kara if I could post some of suggestions on our blog. I know that teachers would find them useful and teacher educators may want to share them with their student teachers. Thank you Kara for letting me share your work with the wider education community. An Autism Spectrum Disorder (Autism/ASD) is a complex neurological condition which has implications for many aspects of functioning, including learning. The education system needs to be increasingly prepared to meet the diverse needs of these students, as Autism is the fastest-growing developmental disability in the United States (Safran & Safran, 2001; Sansosti, 2010). Last year, the US Centers for Disease Control and Prevention reported that, as of 2010, rates of ASD were 1 in 68 children. Only ten years before, the prevalence was reported as 1 in 150 children. In this paper, rates from the US are reported, as Canada does not have a comparable federal ASD surveillance system at this time, though one is in development (Health Canada, 2012). Point out the hidden curriculum when you notice they do not know it. The purpose of the Robertson Program is to create, demonstrate, and disseminate inquiry-based teaching models for mathematics and science by focusing on both teacher and student inquiry. The crux of inquiry-based learning is critical thinking- an essential skill for teachers, who strive to deepen students’ conceptual understanding of mathematics and science in authentic ways and for students, who choose to pursue academic and professional careers in the STEM professions (i.e., Science, Technology, Engineering, and Mathematics). One of their initiatives has been a collaboration with “Rainy River District School Board (RRDSB) schools and the First Nation communites they serve. Family Math Nights were designed collaboratively with indigenous instructional leaders, First Nation educational counsellors, school board numeracy facilitators and the Robertson Program/Jackman ICS/OISE team. First Nation community members and RRDSB educators developed activities – such as canoe symmetry, creating tangram clan animals, wigwam construction, exploring number patterns through Metis jigging – that raise awareness of concepts of geometry and measurement embedded in local cultural practices. As well, school board numeracy facitlitators and OISE team offered activities that reflect current research in spatial thinking – a strong predictor of overall math achievement. 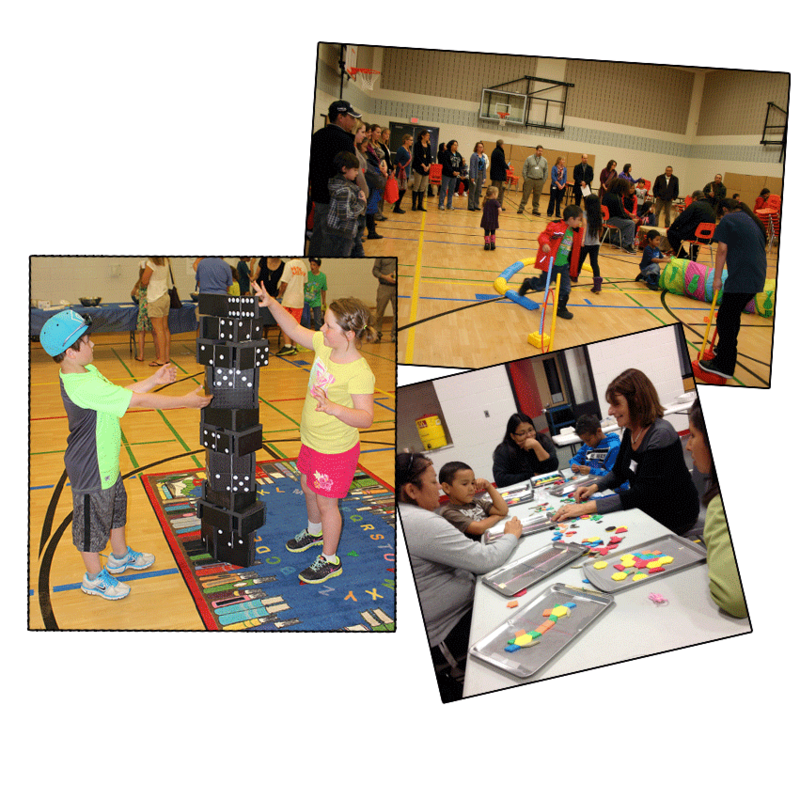 This deeply collaborative and respectful approach to planning Family Math nights – designed under the leadership of First Nation communities in collaboration with the school board – highlights a model of success being used across the RRDSB.